The newly opened Bulgari Resort Dubai, UAE has been ranked the best new luxury hotel of 2017 by the Luxury Travel Intelligence (LTI). This year’s list is compiled by 12 LTI highly experienced and discerning reviewers from around the world, based on up to 74 new luxury hotels visited. Located on the man-made Jumeirah Bay in Dubai, the luxury resort is designed by renowned Italian architectural firm and spreads over 13 hectares. It includes an exclusive beach club and beach, 50 boat berth marina, unique mosaic-design outdoor swimming pool, 1,700 square-metre Spa and restaurant headed by chef Niko Romito. 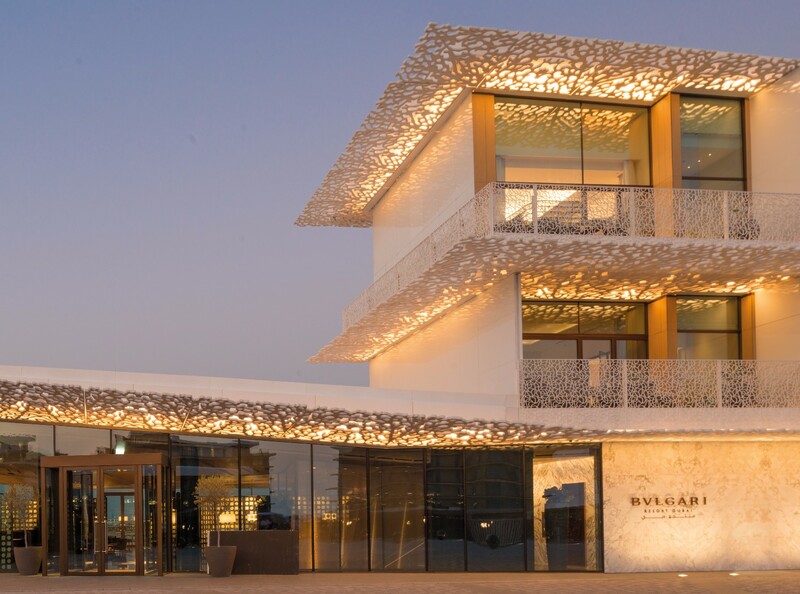 Bulgari Resort Dubai beats close competition from thirteen (13) other new hotels, opened during the year in Australia, Britain, France, Fiji, Italy, Mexico, Switzerland and the United States. Tagged A Rosewood Hotel, Bulgari Hotel & Residence, Bürgenstock, cape town, Chablé, dubai, florida, Four Seasons Hotel at The Surf Club, Hôtel de Crillon, Hotel Eden Rome, Jackalope Mornington Peninsula, Kokomo Private Island Fiji, Lucerne, New York, Nobu Ryokan Malibu, Palácio Tangará, paris, Provence, Surfside, The Ned London, The Silo, The Whitby Hotel, Villa La Coste, Yucatan. Bookmark the permalink.